Dr Khaled developed a resolve to provide the same compassionate and comfortable care to his patients that was given to him when he was younger. Instead of just helping patients achieve a beautiful smile, he focuses great detail on ensuring your jaw is functioning as it should be and that you’re breathing correctly. Simply put, Dr Khaled aims to bring harmony and balance to your smile while limiting extractions and improving the overall aesthetic of your appearance. Dr Khaled enjoys solving people’s various dental problems, from toothaches to not being able to chew food to not sleeping well to having a fear of dentists. Dr Khaled welcomes patients of all walks of life into his dental practice, including children, for whom he started a dental program for kids. As a part of the program, children are given hygiene instructions from their very own ‘tooth fairy’. In 2004, Dr Khaled earned a Bachelor of Dental Science then he took his ADC training exam in Melbourne. He stays abreast of the latest in dentistry by taking many continuing education courses. He also teaches other dentists through his company Dental Courses International. Dr Khaled has completed additional training in courses including All-on-4 Implants, early treatment of malocclusions, Smile Fast Orthodontics, Invisalign and Cardiopulmonary resuscitation among others. 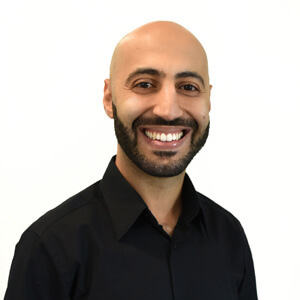 Dr Khaled believes that when electing to partake in a complex dental treatment, you only have one shot to get it right—which is why he practices with extreme precision and confidence, bringing patients world-class care that they can be proud of. To ensure the safety of his patients, Dr Khaled deals with other medical specialists including ENT’s, allergists and naturopaths to bring optimal results to every treatment. When he’s not enhancing patients’ smiles, Dr Khaled enjoys spending time with his wife and young children, cooking, travelling, meditating and listening to music. Experience the difference that compassionate dentistry can make. Contact us today to book an appointment with Dr Khaled!